Athanasios Paschalis is a lecturer in Hydrology in the Department of Civil and Environmental Engineering. His research and activities focus on hydrology, stochastic methods for hydrological applications, risk assessment, ecohydrological and ecosystem modelling. 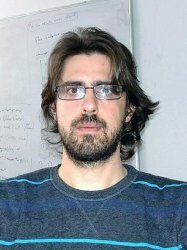 His primary research interests are the physical understanding of the Earth system and the computational modelling of hydrological processes, and their links to atmospheric processes and vegetation dynamics. He has also worked extensively developing stochastic models for meteorological variables as numerical tools for probabilistic natural hazard risk assessment. Athanasios graduated in Civil Engineering at the National Technical University of Athens (NTUA) in 2009. He got his PhD in hydrology at ETH Zurich in 2013. Before joining Imperial College in 2017 as a Lecturer he worked as a research associate at Duke University (2014-2015) and at the University of Southampton (2015-2017).